When the Tiguan was first released in 2007, a lot of people were wondering if Volkswagen’s venture into SUV territory would work. 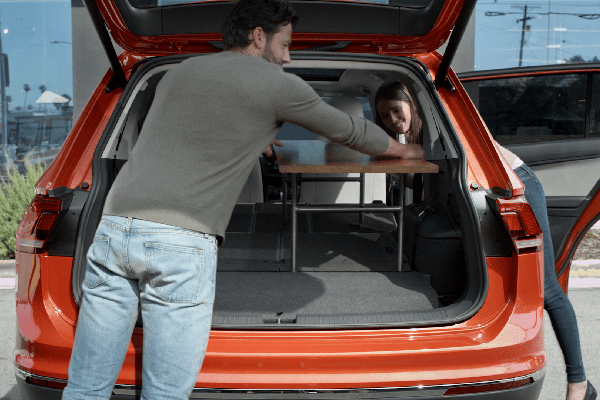 But after more than a decade of proving that the Tiguan can compete with any other SUV, the 2018 Volkswagen Tiguan has proved that it is among the best family-friendly rides on the road. Let’s take a look at what reviewers have to say about the VW Tiguan. Expert and amateur reviewers alike have raved about the VW Tiguan. The Car Connection hails it for its “spacious interior,” “good value,” “comfortable second row,” “standard Apple CarPlay,” and “sharp style.” US News Rankings and Reviews praises the Tiguan because it offers “lots of user-friendly tech features,” “good cargo space,” a “smooth ride,” and “roomy first- and second-row seats.” WhatCar was particularly excited by the Tiguan’s new four-wheel 4Motion trims, which make it more capable off-road and on tricky surface conditions than ever. Cnet applauds the new Tiguan for being “spacious and comfortable,” calling its infotainment and driver aid tech “among the best in class.” And real Tiguan owners gave the VW Tiguan a combined score of 4.9 out of 5 on Cars.com, giving it perfect to near-perfect ratings in comfort, performance, exterior style, interior design, value for the money, and reliability. Simply put, the Volkswagen Tiguan delivers perfection across the board. Ready to see why experts and drivers alike love the Volkswagen Tiguan? Visit our Tampa VW dealership today, and take the Tiguan for a spin. You’ll quickly see why it’s considered one of the best family vehicles on the road. At Reeves Volkswagen, we offer the largest inventory of Volkswagen models and trims that you’ll find anywhere in the Tampa region—including the Tiguan. You have questions about the latest Volkswagen innovations, and we have answers. The team at Reeves Volkswagen has been carefully trained to provide the utmost in product knowledge. In the end, it’s all about providing total satisfaction. Our friendly staff is here to make sure that all your needs are met, and that you enjoy your shopping experience. Simply put, why would you settle for anything less than that? Check out our selection of the VW Tiguan online, or call Reeves Volkswagen at (855) 248-4512 today. 0 comment(s) so far on Is the VW Tiguan the SUV for You?